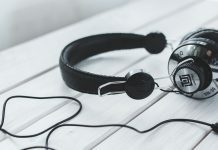 As you may already be aware, the biggest advantage that radio headphones have over their classic counterparts is the capacity to tune into AM/Fm frequencies. While many people prefer listening to their own playlists, radio headsets definitely have their advantages. That said, let us point out that radio headphones differ quite a lot from one another in regards to their capabilities, which is reason enough for you to take the time and learn about the particularities of each radio headset style and what to look for when shopping for one. To give you some insight on the matter, we put together a list of the ten best radio headsets money can buy. Holding three major functions, the new Beyution White Bluetooth V3.0 Headphones gives you FM Radio, Bluetooth and microphone connectivity, and microSD card reader features. The sound quality is impressive and FM reception is quite clear. You can also create your favorite list of tracks and save them on an SD card that you can insert into the headset. Thanks to the Bluetooth and microphone features, you can not only listen to music wirelessly but also receive and make calls. It works well with most smartphones, MP3 players, laptops, and other devices with Bluetooth capabilities. Furthermore, it also has a lithium-polymer battery that keeps you entertained for up to 7 hours on a single charge. Sony is a world-renowned brand in the electronics industry and their SRFHM55 Sports Walkman AM/FM Stereo Headphone Radio headset really lives up to the brand’s good name. This headset is both stylish and performs excellently by all standards. The stand out feature is that it is water-resistant which means it is built for those people who are exposed to sweat, dirt, and moisture on a regular basis. The headset also features a flexible antenna that captures AM and FM frequencies quite well. 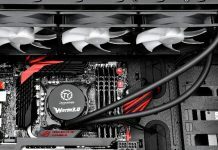 We should also point out that the headset is made from high-quality materials and is extremely durable. 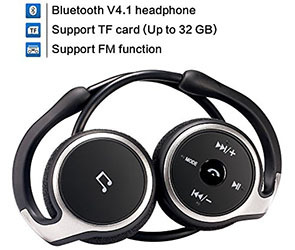 While the Blue House 709B Wireless MP3 Headphones with 4GB Memory Card FM Radio can only capture FM frequencies, it does bring a lot to the table. For starters, it has a 4GB memory card included that lets you store up to 25 hours of audio data. The headset runs on an inbuilt battery that can be charged quickly and it offers a total of 9 hours of listening when fully charged. The headband and ear pads are comfortable as well to add to your listening pleasure. These stereo earphones are quite spectacular to look at and perform just as magnificently. They are wireless and connect via Bluetooth to most smartphones and Bluetooth enabled players. With an ergonomic design that fits around your neck and over your ears, these earphones are perfect for those people who live their lives on the go. Interestingly enough, the headset allows you to insert a memory card and listen to the stored music on it with relative ease. They also have an impressive radio reception and the sound quality is just as great. Built to last, the OPD Digital AM/FM Radio Earmuffs Headphones are not only extremely durable but highly practical s well. These headphones work great in loud surroundings such as construction sites and woodwork studios. Furthermore, the headset has a Noise Reduction Rating of 24 dB which is great for keeping damaging noise out. The headset also features an added antenna for better reception and you can also save up to 8 presets of both AM and FM frequencies with a touch of a button. Built with a LED screen, it allows you to easily choose your favorite station as quickly as possible. The headset also has a cushioned stainless steel headband that adjusts easily to different sized heads. With the Pyle Premium Wireless Bluetooth Headphones, you get a decent mix of style and functionality. Although it comes with FM and not AM frequencies, it delivers a lot more than other headsets in its price range. The headset comes in 4 color options including blue, black, white, and red which let you find your best match. The headset is fitted with a Lithium-Ion battery that requires just an hour of charging and gives you 6 hours of endless entertainment. On them, we also find a 1.5mm audio jack that can be used to listen to music to save battery life. The TF card slot lets you listen to what you want freely while the headset’s Bluetooth and microphone features offer great connectivity options to employ at your convenience. Perfectly combining comfort, performance, and quality, the RadioShack AM/FM Stereo Headset Radio stands out as some of the best out there. It is extremely durable and comes from a worldwide trusted brand like RadioShack. Not only that but the headphones give you 10 AM presets as well as 10 FM presets that you can switch through with ease. Reception on these headsets is exceptional given the fact that there is no antenna to speak of. The headset is also fitted with an LCD display to help you find your favorite station. The ear pads are large, soft, durable, and keep any noise out while the headset runs on just 2 AA batteries and also has a 3.5mm port for easy connectivity. When it comes to looks, the Stanley RST-63012 Sync Radio Hearing Protector with Digital Am/Fm/MP3 headset doesn’t stand out but it more than makes up for it in performance. It has a Noise Reduction Rating of 25dB which ensures you hear what you want when you have the headset on and not the outside noise. The headband is adjustable and is cushioned for added comfort. With large, padded ear pads, your ears will not face any discomfort. 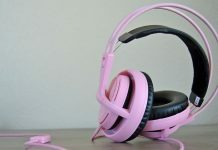 Furthermore, the headset has an AUX input mode that allows you to connect to a player to enjoy other music input with just a push of a button. This ingenious headset is packed with a wide range of useful features. The Howard Leight by Honeywell 1010390 Hi-Vis Radio and MP3 Ear Muff headset is fitted with a reflective headband that provides maximum visibility. As expected from such a technologically advanced headset, it allows you to choose your favorite station from the 10 presets easily thanks to the LCD display on the side. The added antenna helps increase the reception power of these headsets while the headset itself runs on just 2 AA batteries and provides hours of listening pleasure. The advantage you get when you buy the 3M TEKK WorkTunes Hearing Protector, MP3 Compatible with AM/FM Tuner headset is that you can choose between the wireless or the wired model at your convenience. The headset works on 2 AA batteries that give you hours of non-stop entertainment. It also has added padding in the ear pads to give you a comfortable listening experience along with an antenna for superior reception, even in crowded areas. The large earpads keep damaging noise at bay, which is the least you should expect from any high-end radio headsets.